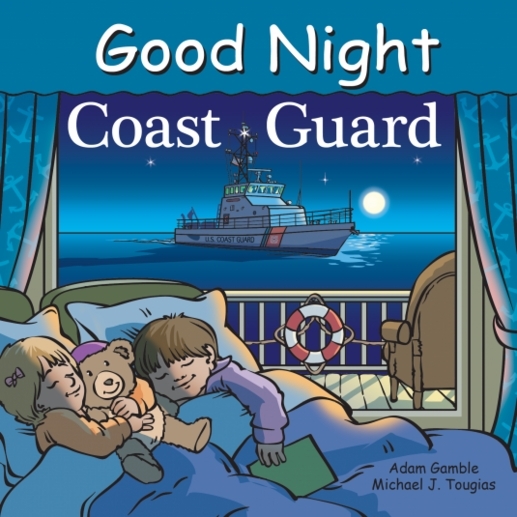 Good Night Coast Guard explores different types of boats and rescue vehicles such as Coast Guard cutters, helicopters and hoist operators, C-130, Coast Guard tall ships, speedy lifeboats, buoy tenders, uniforms, a search and rescue center, boatswain, skipper, inspectors, and more. Buckle your lifejackets, it’s time to sail the high seas with the men and women of the US Coast Guard! Young readers embark on a thrilling adventure while learning about the guardians of the ocean.